Score Free Boxer Ramen, Jan. 22nd Only! Luckily Portland is blessed with some seriously sweet noodles, but you know what the single best kind of noodles are? 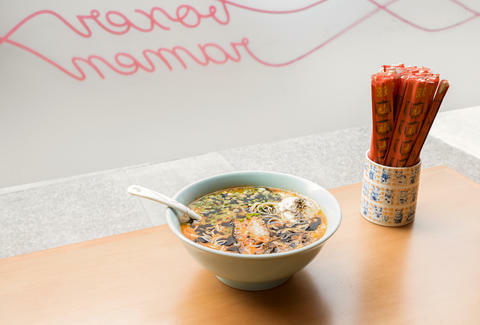 FREE noodles, which is why you should hit Boxer Ramen’s new location Thursday, January 22nd. BR’s celebrating the launch of its second spot, in the heart of bustling Alberta St, by giving away one small bowl of ramen to everyone who comes through the door between 5-9pm. Options range from a traditional pork broth with pork belly & soft poached egg, to a shiitake mushroom-pork bone dashi. The full menu won’t be available until Friday, January 23rd, so you’ll have to wait on those okonomiyaki tater tots, but thankfully you should be able to wash your free ramen down with one of their comically large cans of beer.